Every once in a while you should do some spring cleaning, especially for the peripherals you use frequently. 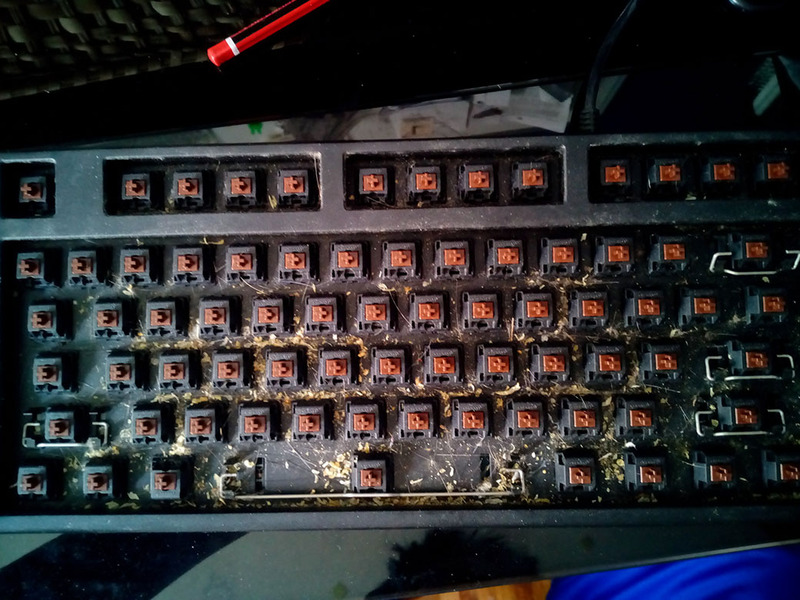 I say that but it has been probably 4 years since I ever cleaned my keyboard (or clean any of my computer peripherals). Today, I cleaned it and it looks so much better. I also hired a office cleaning service to clean the rest of my office. My god is it dirty. This is definitely not for the faint heart or keyboard lovers. Here is what it looks like before cleaning. 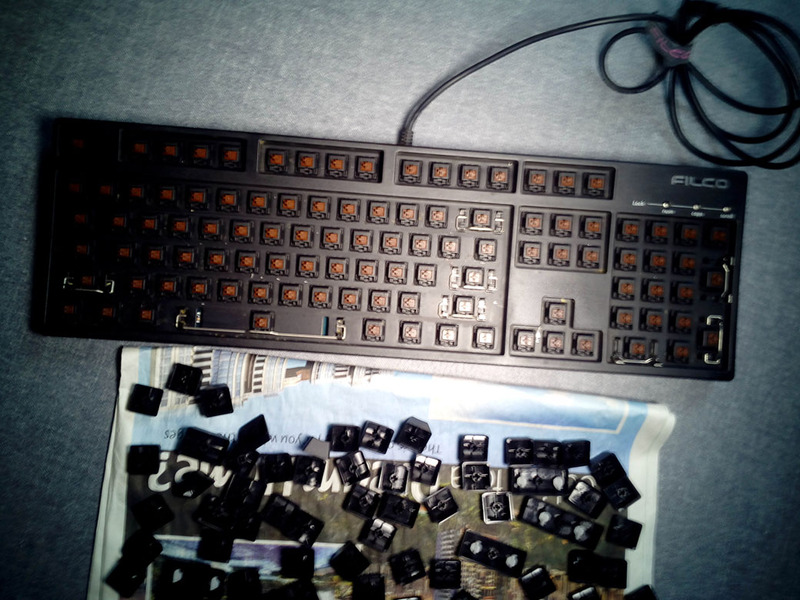 What I basically did was to take out all the key caps and gave them a good bath while using a brush to scrub out all the dirt and disgusting “stuff” that is on the keyboard. I do not really have the right tools for the job and thus was unable to reach some places and remove some of the dirt that was stuck onto the board. Nevertheless I think I did a decent job given the amount of time and effort I’m willing to put into this task. 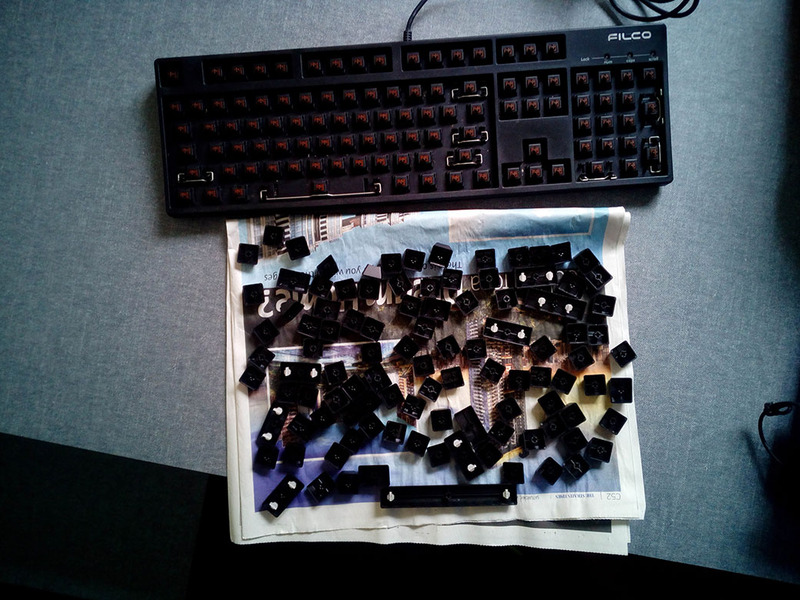 I even used a blower to blow the keyboard to try get rid of any additional dirt that was unreachable by the brush. 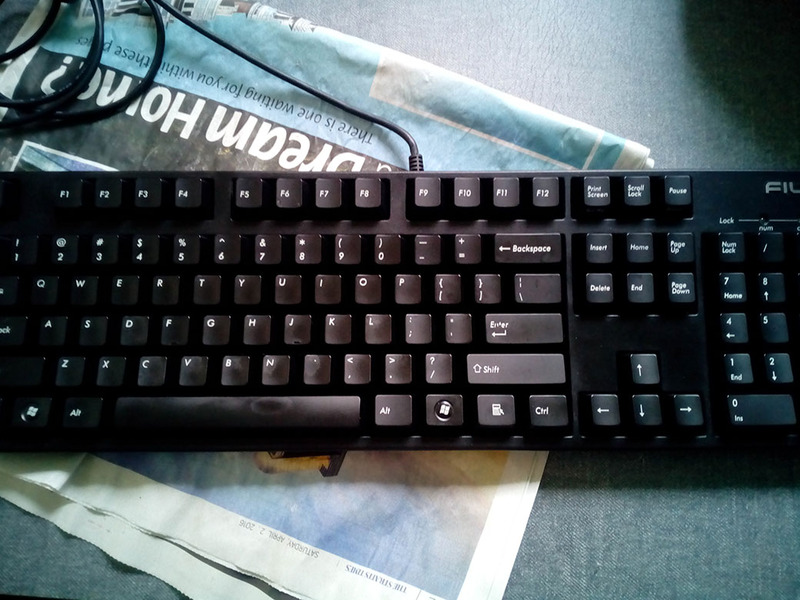 If you take apart your new computer to clean the keyboard, you may realize that the newer computers are built differently and might not be able to put it back together yourself. If you need a new computer built – Ask the Experts at PC Repairs North Lakes. As you can see, the board looks SO much better. The cleaning process will take some time but it is definitely necessary should you own a keyboard that is comparatively expensive. Don’t be like me and wait years before doing such cleaning. If you care for your hygiene and cleanliness, do give your keyboards, room, peripherals, desk and whatever a clean every now and then.